The short answer is that’s where your ideal patient is. 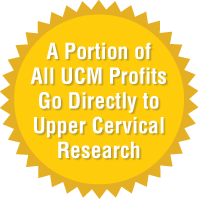 Marketing your upper cervical practice through online marketing is a no-brainer at this point. People in your local community are on line all the time. Facebook, Google, YouTube, Twitter, Google plus, etc. are part of a majority of your ideal patients daily lives. Why do I need to work with an agency like Upper Cervical Marketing? A majority of upper cervical doctors that we speak with do not have the time, energy or know how to effectively market their practice online. If you do not live and breathe online marketing and web development like we do, then there is no way that you can specialize in it and provide yourself with efficient and effective results. You would not try and build a house if you have never done it before would you? Online marketing and website development is too important to try to do piecemeal. On top of that, it can get very expensive and time consuming if you don’t know what you’re doing. Focus on what you do best, taking care of patients and running your practice, and let someone like us help you grow. 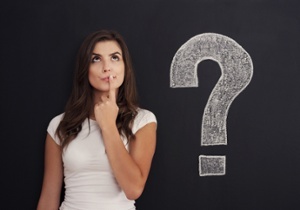 Why do you focus on conditions in your lead generation programs? It is extremely important in marketing to meet the potential new patient where they are. A majority of people do not know anything about upper cervical and do not know that upper cervical is even an option. They just know that they have migraine headaches, fibromyalgia, vertigo etc. and they don’t want them anymore. This is where our marketing is focused on connecting with them. By attracting potential new patients to your practice that have specific conditions that respond very well to upper cervical care we are beginning the prequalification process. Our goal with all leads is that they have a specific condition that upper cervical helps on a regular basis, they are in your local area and they have expressed an interest in resolving their condition. After they come into your office then you can begin to educate them about upper cervical philosophy and the true impact upper cervical care will make on their health and life. We have tested a variety of different conditions in many different markets throughout the United States, Canada and other countries. The conditions that we have seen the most consistent results with are migraine headaches, vertigo and fibromyalgia. These are the primary conditions that we offer. The secondary conditions include lower back pain, neck pain and multiple sclerosis. How many conditions come with each program? We offer 3 different tiers in our lead generation system. The silver plan is primarily for doctors in small markets and comes with 2 of our primary conditions (choose two from migraine headaches, vertigo or fibromyalgia, low back pain/sciatica). The gold plan has 4 different conditions included (migraine headaches, vertigo, low back pain/sciatica and fibromyalgia). The platinum plan has all 4 of our conditions along with an aggressive search engine optimization and Google ad words campaigns for large competitive markets. This may be our most common question, and it’s a good one. The type of results and the time to see results are going to vary based on (1) the services you are using and (2) the aggressiveness of your marketing efforts. More comprehensive marketing strategies tend to yield better, quicker results and will always be recommended by Upper Cervical Marketing. All of our Upper Cervical Marketing System Programs include paid advertising through Facebook in order to get the fastest results possible. Search Engine Optimization and Social Media services alone can and do take weeks, sometimes months, before any direct results are noticed. Check out real world case studies on our client results page. Your website is the first impression that prospective patients get about your practice online. If you do not have a website or if you have a dated, poorly designed and developed website, then there is a very good chance that this prospective patient is going to move on to a competitor that has put the proper time and care into their website. There is absolutely nothing preventing you from going with a free or cheap service provider to build your website. As a matter of fact, going this route is better than not having a website at all in our opinion. However, if you’re looking to build a website to actually help your practice grow, then going through the proper planning, design and development process to create an effective website is 100% necessary. Your website is your first, and sometimes your only, impression as well. Make sure that it makes the best possible imprint by having a professional team like ours build it correctly from the start. Yes. All Upper Cervical Marketing websites are owned entirely by the clients we designed and built them for. Although our clients rarely have moved there website to someone else, you most certainly have the option to do so. The more information we have from each client before beginning a project the smoother and quicker the project goes. Ideally, we would like to have the following things before any website build is started; (1) approved sitemap, (2) high resolution logo files, (3) high resolution image files, (4) completed content, (5) domain registrar login info, (6) current web host login info, (7) current CMS login info, (8) current analytics and webmaster tools login info, (9) 3rd party tool login info and (10) completed getting started checklist. All of our website clients get full access to their website. This includes control panel access, WordPress administrative access, FTP access and database access. All Upper Cervical Marketing websites are built to be responsive. Responsive websites are entirely mobile friendly and are the method of choice by our development and marketing teams for performance and SEO reasons. If we are only building a website for you than the primary call to action will be a complimentary consultation/new patient offer. This is completely at the discretion of the doctor as far as what they would like to offer and how much they charge or don’t charge for the service. We do recommend other call to actions in order to convert more visitors to leads and new patients. The majority of visitors to your website as much as 99% are not ready to become a new patient immediately and will need more information in the form of a free report or e-book. Our Upper Cervical Marketing System Programs are all focused on lead generation and integrate seamlessly into any website we build. If you select to take advantage of our website service plan or you are a lead generation client we will perform regular checks and updates to keep your site secure from any malicious behavior. And, in the rare instance, your website does get compromised then our specialists will work to resolve the issues until they have been completely eradicated. If you choose to opt-out of our website service plan, then any and all security and maintenance will be your responsibility. For clients that use our website service plan or are lead generation clients will not have to worry about any updates being properly installed, implemented and updated. For clients that choose to opt-out of our website service plan, then they will be responsible for any and all updates. If you select to take advantage of our website service plan or are a lead generation client, then we will run and store regular website backups that can be delivered on request. However, if you decide to not use our website service plan, then backups will be your responsibility. With each website that we build we assist with the proper setup and installation of Google Analytics, Google Webmaster Tools and Bing Webmaster Tools. How long will it take to update my website? Each website development project is different. Depending upon your individual needs, most website updates take between 4 to 6 weeks, with more in-depth projects taking 8 weeks or more. Updating your website is a collaborative project and we’ll need your input on each step of the process. With so many moving pieces, each project progresses at its own pace. To learn more about our websites including examples and pricing click this link Upper Cervical Websites. I would prefer to learn and implement my own online marketing campaigns. Are there options for doctors like me? Yes, Upper Cervical Marketing offers a very valuable consulting service that can be scheduled and adjusted to fit your calendar and budget. Instead of us actually implementing online marketing campaigns on your behalf we will spend time with you, on the phone or via Google hangout, to teach you how to do things yourself, how to test them, how to track them and how to continually optimize them. Our consulting services are charged on an hourly basis at $150 per hour and each session is followed up with a detailed recap that provides you with actionable things to accomplish to start seeing results. To get started with consulting services email DrDavis@uppercervicalmarketing.com. To talk more about any of our programs feel free to schedule an online marketing discovery session.